Thank you for your interest in our 2019 College Scholarships. Please find the eligibility requirements below for our scholarship before you begin the application. Eagle College Scholarship. $4,000 awarded to four Eagle members. Applicant must have their own membership with Eagle Community Credit Union and it must be in good standing i.e. not eligible if only joint on parents account, or if your own account is dormant or is negative, in collections, etc. If you are not yet a member, you can complete our online membership application, or visit one of our six branches. 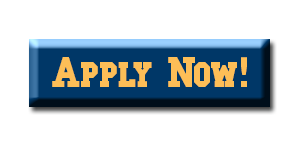 Applicant must be currently enrolled or plan to enroll in a 2-or 4-year technical or accredited college (undergraduate or graduate) in Fall 2019. Applicant must be at minimum a senior in high school or older (no maximum age). Please be prepared to upload the following documents before submitting the online application. 1) What experiences in your life so far have best prepared you for college? 2) What advice would you provide Credit Unions to help them reach a younger demographic and audience? *Eagle CU employees, volunteers and family members not eligible.